VR and documentaries have been a natural fit since almost the beginning of the medium, right after CG space shooters. And whether they're shot for true, spatial VR or 360 degree video, directors and news teams are finding ways to place us in real life experiences just as much as imaginary worlds. The result? Encouraging empathy, which encourages action to help make social change. We've picked out some of the best VR documentaries we've seen so far, for both mobile and PC based VR headsets. They're made by VR studios, news networks, independent productions and charities. Seen one you think we've missed.? Let us know in the comments section below. 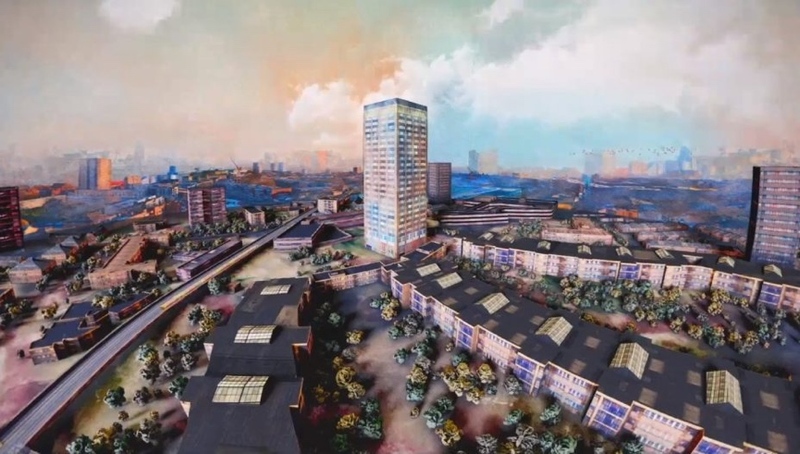 This 15 minute documentary uses a remarkable blend of 360 interview footage and animation to give us a sense of living in this London tower block before the building and its residents suffered a tragic fire last June. That means director Jonathan Rudd, creative director of Parable, is able to bring to life the 18th floor views, the avocado trees and the sense of space that drew people to live there. Plus, there's a melancholy but hopeful score by Biggi Hilmars, something you won't find on just any VR doc. You can watch Grenfell: Our Home on the Channel 4 News YouTube channel, Facebook page or via the Channel 4 4VR app. From Ex Nihilo, ARTE France and AudiGaming, Notes on Blindness – a companion to the feature film of the same name – is a must. It's a documentary that uses minimilist 3D animation and binaural audio to explore the words of writer and academic John Hull, who started keeping an audio diary in 1983 after he lost his sight. The book, and now the film and VR experience, are based on three year's worth of entries. Try Notes on Blindness: Into Darkness on Gear VR, Cardboard, iOS and Android. The Rohingya people currently survive in the world's largest refugee camp, after the crisis in which the military in Myanmar is accused of ethnic cleansing and genocide in 2016–2017. Behind The Fence, this late 2016, 360 degree doc from RYOT, which is available on YouTube, actually takes us inside an open air concentration camp where Rohingya Muslims were imprisoned. It also includes an interview with a Buddhist leader on why the Rohingya "cannot" be given the same human rights as indigenous peoples. Shocking stuff when you see it up close. A double bill now of windows into solitary confinement, starting with Frontline PBS' After Solitary, which first went live in spring 2017. Here, we get to virtually spend time in a 13x7 cell in Maine State Prison, with stats overlaid onto the inner walls and insight into what it's like to be isolated there from Kenneth Moore who has spent 20 years of his life in prison. This shorter, earlier VR doc from The Guardian also looks at solitary confinement and segregation in US prisons. As well as facts about how long prisoners spend in solitary a day etc, the zooms and pans showing cracked walls and bare conditions are very effective in showing what it's really like for some people. Watch as a 360 video (above) or for the full VR experience, download the app for Gear VR, Google Daydream, Google Cardboard, iOS and Android. This BBC two-parter is available for Google Cardboard, Samsung Gear VR and the BBC's virtual reality hub. In a total of 28 minutes, we're taken through Egypt, Sudan and Ethiopia by Alastair Leithead, the BBC's Africa correspondent. Leithead shows us the issues such as the politics of water control on the ground with drone shots, village and temple tours and candid, to-camera reporting. Watch episode 1 above and expect a lot more VR news and documentary experiments from the Beeb. We first saw this high profile, 10 minute VR doc at the 2017 Tribeca Film Festival last year – it's co-directed by Kathryn Bigelow and Imraan Ismail, with National Geographic and was intro'd by none other than Hilary Clinton. The subject matter? The battle between elephant poachers and conservationist soldiers in the Congo. The Protectors: Walk In The Rangers' Shoes (its full title) isn't too flashy, and it lets the stories do the talking, though subtitles in different sections of your virtual view do help to guide you. If you're looking out for what's on the horizon when it comes to VR docs, check out Vestige from Aaron Bradbury, which we got to try out at this year's Cannes Film Festival. It's a bit different to the rest of the picks in that it's a 10 minute non-linear, room scale VR documentary that explores memory and uses volumetric live capture. RYOT is involved again as are other VR names such as Atlas V and Kaleidoscope. Dan Benzakein, who covered Cannes 2018 for us, said: "As you navigate the space in this touching story of loss and grief, you trigger new narrative branches, opening alternative pathways that make Vestige a unique experience." It's been picked up for distribution after Tribeca and Cannes – for now, watch the trailer above.